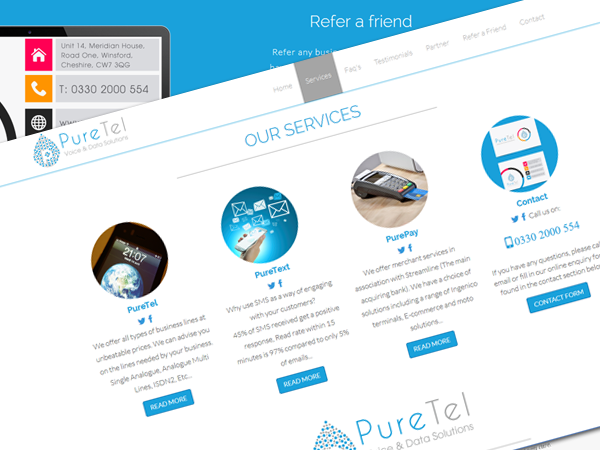 Working in and around the Cheshire area, Michelle offers a full range of creative media services, such as responsive website design, branding, graphic design & print design. Michelle strives to find a harmonious balance between aesthetics and functionality. Please find below some of the services Michelle offers. If you have a brand and logo design idea, Michelle can create logo's which compliment your company. If you already have a logo but feel it isn't working for you please let Michelle take a look and she will come up with some ideas for you. When it comes to building your website, whether it be a new website or a re-design Michelle uses the latest technologies so that your site works on all platforms, from mobiles to desktops. Michelle has previous experience of design for print from working for a large format digital printers. Michelle only works with vectors for crisp artwork. Please take a look at some of Michelle's most recent work. 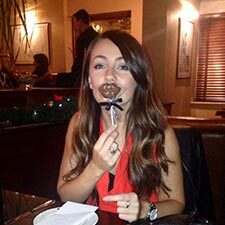 Welcome to the interactive portfolio of Michelle Duncalf Ltd.
Michelle is a Cheshire based Graphic Designer and Front-End Web Developer / Responsive Website Designer with a BA in Interactive Multimedia. 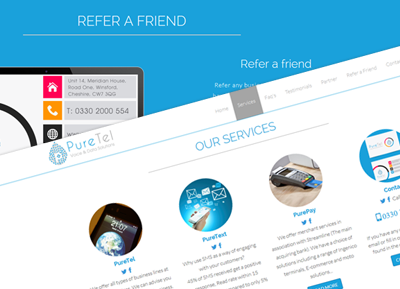 Michelle is an all-round Front-End Website Developer / Designer. Michelle's skillset is varied due to having quite a variety of job roles, Michelle has covered branding and identity, Illustration for both digital and media, Front-End website design and design for print. The world wide web has changed so much over the years that Michelle's skills have progressed from being a standard designer / web designer to extending her skillset and now works with LESS and integrates Css Preprocessors into her workflow. Michelle can competently produce Parallax Scrolling or Responsive Websites with Cross-Browser Compatibility for Desktop / Tablets and Mobile. Michelle has previously worked as a Senior Web-Designer, Senior Graphic Designer, Junior Web-Designer, a Macintosh Operator and currently runs her own Limited Company working freelance on small and large projects, anything from logo design to responsive website design. Michelle has produced hand coded web-sites and pop-ups for Auto-trader, and worked in pre-press for a large format digital printing company. She has also worked as an artworker for mobile phone companies such as Nokia, Sony Ericsson, Jabra among many others. I hope you enjoy looking through this portfolio. Please feel free to contact Michelle regarding her work or if you have any projects in mind please get in touch. Please download a PDF version here >>. Please take a look at some of the logo's Michelle has created. Michelle always work in a Vector format for all of her logo designs, Michelle has created hundreds of logos for various companies and freelance projects over the years. If you require a logo re-brand or your logo re-drawing so that it is a vector format, for use with large format digital prints then please get in touch. 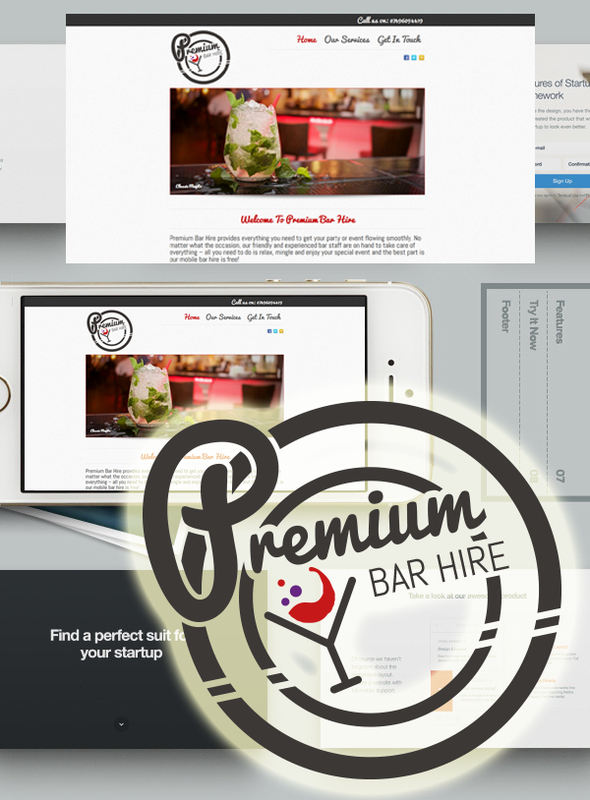 Premium Bar Hire wanted a fresh logo which incorporated an icon for cocktails, they didn't mind which colours to use so we opted for something which stands out. 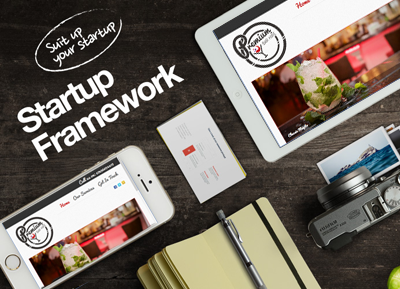 We used a bootstrap framework and the website is fully responsive with an integrated CMS for editing the site. 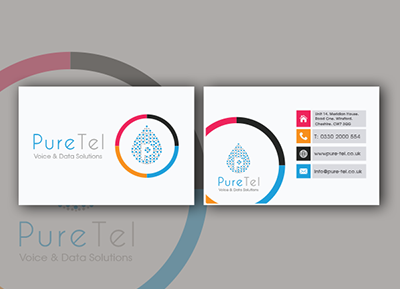 PureTel already had a website with us which was called Pure Telecom Solutions, their aim was to simplify their brand, they wanted to make it easier for the user to understand what PureTel was, We created additional sub logos for their brand by developing PureTel, PureText, PurePay, & PureCall logos, then we created flyers to promote the individual sections of the business. 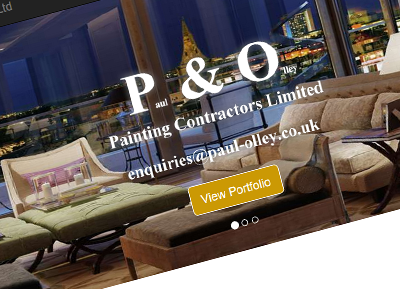 Paul & Olley Painting Contractors Ltd Website. 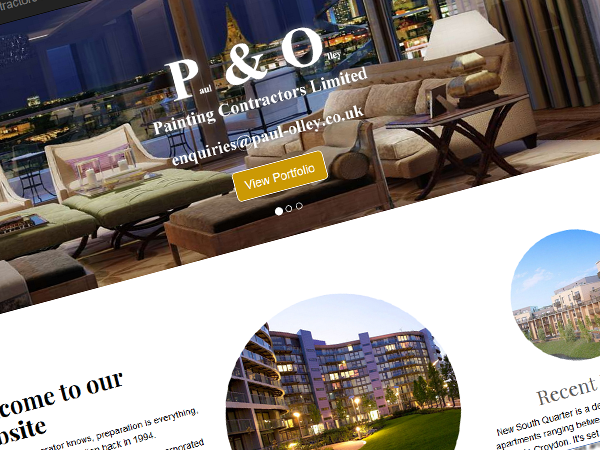 Paul & Olley wanted a smart website to represent their high end painting and decorating projects. We played around with designs until they settled on a smart black white and gold website. evergreen wanted to freshen up their logo, Michelle created variations based on what they requested. Unfortunately they decided to keep their original logo due to fear their current clients might not recognise them.